These earrings are divine. 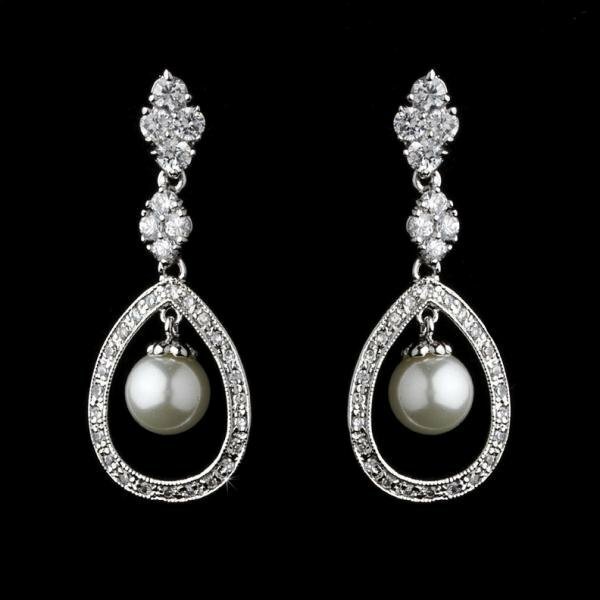 Featuring a cascade of cubic zirconias and a gorgeous faux white pearl drop in the centre. Size: 3.8 cm long x 1.25 cm wide.